True Integrity Opalescent Colour Creme is a low ammonia, permanent and demi-permanent haircolour system that delivers the reflection of a translucent with the coverage of an opaque. It provides exceptional grey coverage and is available in 63 beautiful hair color selections. 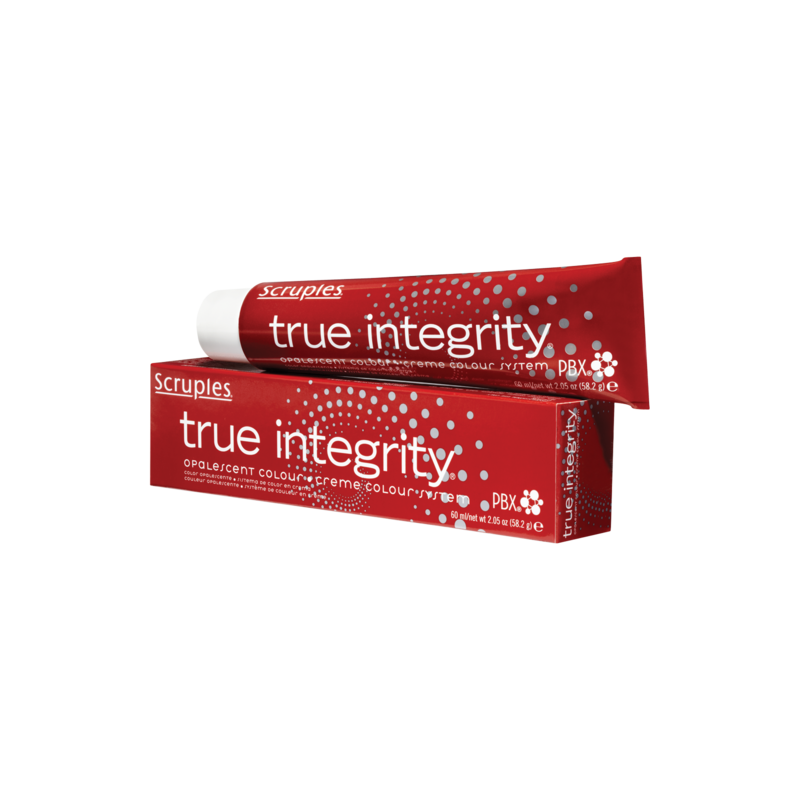 Scruples True Integrity Purple Intensifier is a highly concentrated, pure pigment that enhances violet tones and cancels unwanted yellow tones at lighter levels. This hair color additive can be added to any True Integrity shade and designed to intensify depth in formulas, add an accent of vibrancy and be used for corrective coloring and creating custom color blends. 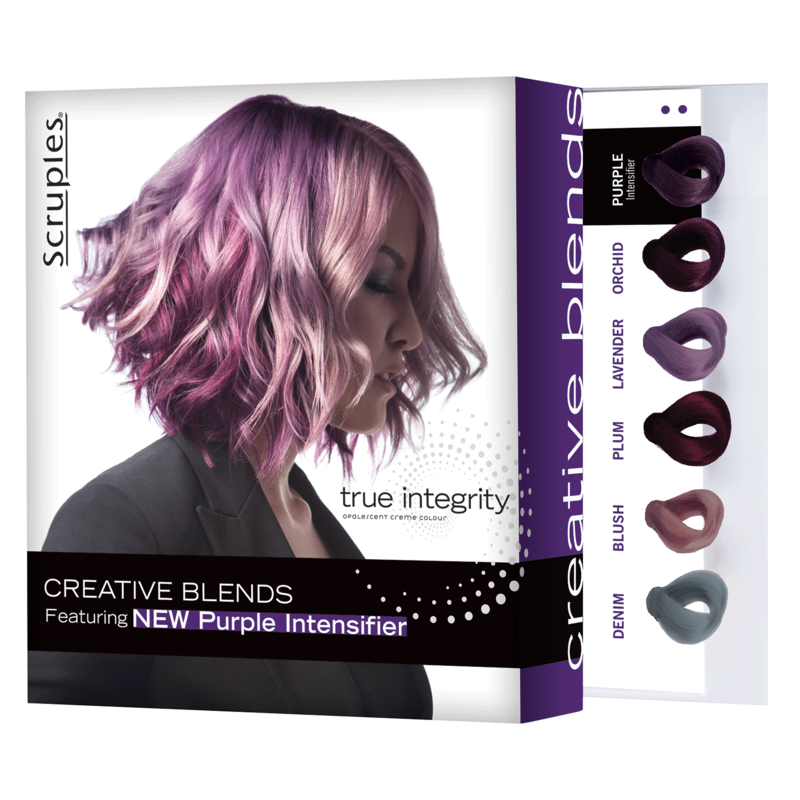 Give haircolor a boost with True Integrity Opalescent Colour Crème Booster from Scruples. The unpigmented formula features the Protective Barrier Complex and the same conditioning base as other True Integrity products. “True Integrity Crème Booster gently provides an extra half level of lift when mixed with True Integrity shades, and an extra full level of lift when mixed with Ultra Light Blondes, with no increase in processing time.